It was some really good dessert, pate sablée, shortbread crust? in english ? not sure, with a blueberry ganache and on top a layer of chocolate, i can't comment on the high but it was some good stuff. Last edited by WLow on Wed 13th Feb 2019 03:32 pm, edited 1 time in total. 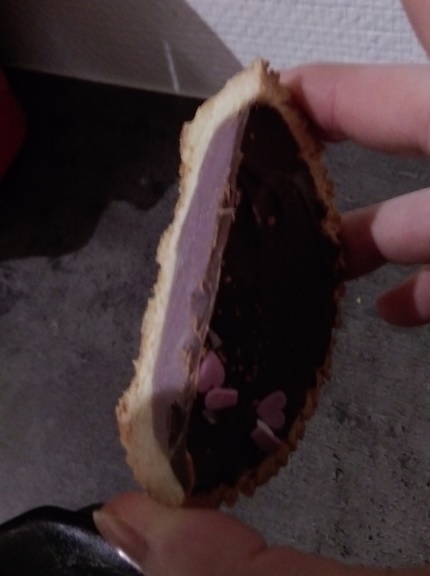 Found it on my phone,i cutted it in half at the airbnb to see the purple ganache. Nice, I like these, but I dont think I tried the blueberry. They had blueberry and the straight white chocolate when i visited. 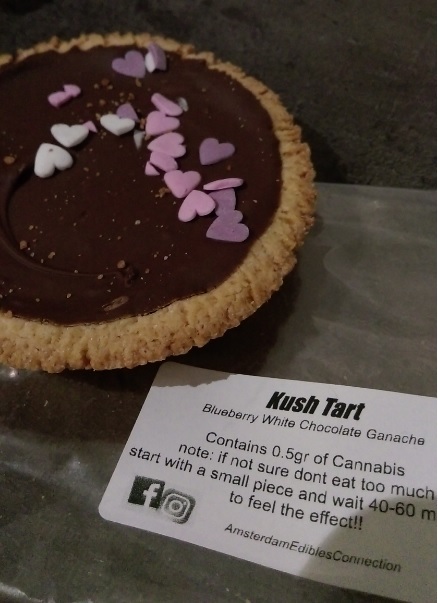 they're 10€ a tart, it's pricey like said it was good,not sure about the high as i was floating already, you can sure find nice pastry without weed in it for cheaper. New menu for Bagheera dated March 19, 2019. Kudos Dreaminjection. So Mango hash (15€/2g) - Brighter pretty soft moroccan hash. Bubbles only a little when touched by the flame... the hash smells pretty fruity and has overall a nice texture. The taste I would descirbe as slightly fruity hashy. Well it didn´t bubbled much when touched by the flame but it gave me a good relaxed stoned effect. I was looking for a cheaper "lighter" hash and this did the job to me. Well it´s not like the best deal in town but it is well priced and the taste/smell was pretty natural to me. Photo will be there in some time. In the end we did like the Tangie more. Nice Citrus pine with sweet sandalwood taste. Effect did make me happy and want to shoot art. Sorry for the delay but have some new vaporizer review to fix up. We now trying the lemon candy. Nicely done Mr. Black Cat. Have admired your work on IG. @kalima i did buy Saturday the lemon candy and we like it to.